A WEEK OR SO AGO A FRIEND CALLED me from her car; I knew that she was in her car because I looked at the caller I.D. on my portable phone. I didn’t answer because I don’t talk to people who are driving, but later I picked up her message on my voice mail. The message said that she had just heard my name on the radio—KPFK, the local, lefty-eco-vegan station. Somebody named Ray she said and a woman had been talking there on the radio about The Doors and Jim Morrison and a house in Venice, California and my name was mentioned. She said in the message that these people, Ray and the woman, whoever they were on the radio, had said that I had lived with them in the early days. That’s it, my friend said, your name was on the radio; but I don’t know who these people were, she said. I called her back to tell her that having my name on the radio has always been very important to me, being of a generation that grew up with radio, and to explain to her what it was all about and who Ray and the woman were to me and why my name was mentioned on the radio and my connection with Jim Morrison. Jim Morrison of The Doors, the rock and roll band. So I called her, not in her car but at her home, and she answered her landline phone; and after introductory pleasantries I was about to explain it all, me and The Doors, but just as I started she got another call. Her call-waiting-I.D. display told her she said that it was an important call, and she had to take it. I didn’t suggest that she first at least speak to the person who was caller-ID-waiting to determine if she could call back or just tell the call-waiting person that she already was having a conversation of some importance, given our culture’s love of celebrity and my knowledge of the early Doors. And more importantly I thought that she should tell the person call-waiting of the general fragility of my nature and about my age, and of my tendency toward blind drunkenness at the least slight and of my need to talk about my time with The Doors. I thought that she should explain all that to the call-waiting person and say that she would call back. But I didn’t say any of that to her even though I really wanted to talk. I just said goodbye. Okay, goodbye, I said. Later I thought about calling her back and leaving a message if she didn't answer. Hello, sorry I missed you. Sorry we keep missing each other. Those people on the radio were Ray and Dorothy Manzarek. Ray and I were in the army together, 1962-1963, when he spelled his name Manczarek. Okinawa. The group on the radio, the group they were talking about on the radio, was The Doors; I guess you knew that. 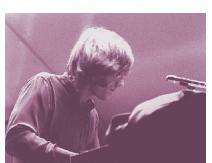 Ray Manzarek is a good man, one of the best. A good man in the army where we kept each other company on Okinawa and a good man to give me a place to stay when I came to California in 1965 to be an actor. 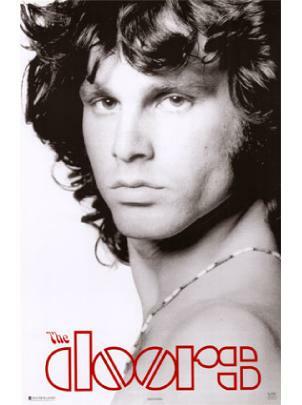 He and Dorothy had to sleep on a futon in the living room so that Jim Morrison and I could sleep in their bedroom on mattresses on the floor. It was a garage apartment on Fraser Avenue in Santa Monica; it wasn’t in Venice as some people have said. Ray and Jim had met in film school at UCLA and later were supposed to have met again on the beach in Venice, but it could have been Santa Monica Beach not Venice Beach because Santa Monica beach is much closer to Fraser Avenue than Venice Beach. Venice Beach just sounds so much more poetic.The online Doors history talks about a Jim Morrison and Doors mythos, and if you are going to talk a mythos you have to have poetry and Venice Beach provides more poetry than Santa Monica Beach. I think Jim would have found that funny. Mythos. Jim and I didn’t have much in common. Roommates with little in common. You know me and pens in my pocket. I’ve always carried pens or pencils in my pocket along with a notebook, and I did then. Ray was very kind to give such a person shelter in his rock and roll apartment. My pens and my pocket notebook probably annoyed Jim. Even though we were both from the south and some of his relatives had a dry cleaners in my hometown, Gadsden, Alabama, we had very little in common; and Jim wouldn’t talk about his Gadsden relatives with me. That garage apartment was on Fraser Avenue just off Neilson Way in Santa Monica near Ocean Park. A few houses in. The street was full of charming little houses. In many of those houses young women lived. Once I went down the street to borrow a phone (the garage apartment had no phone) and the woman who lent me the phone said to me, "Where’s Jim? Have you seen Jim? Don't you live with Jim? When is Jim coming by again?" If I had borrowed a phone at any other house on that street where a young woman lived I would have heard the same questions; I'm sure of it. I had a well-thumbed copy of a book called “Psychopathia Sexualis” by Krafft-Ebing that I kept under my mattress there on Fraser Avenue in Santa Monica with all of its young women; I didn’t visit any of them. My wife and children were back in Alabama. I hope that I didn’t shock you just then with the title of that book, “Psychopathia Sexualis.” But I also had another book, “The Theatre and Its Double,” by Antonin Artaud that I kept out in the open. Jim and I would talk about that book and Artaud’s ideas. At least we had that in common. Jim was an idealist who wrote poetry. And he was an intellectual even though he was this wild rock and roll person on stage. He was about chaos as a performer. An intellectual choice—disturbance, shaking people up; he wanted to irritate people, get them back to what he felt was their true nature in his performances and away from convention and logic, disturb their tranquility. That’s Artaud. Antonin Artaud. Get to their animal, what was being suppressed. He wasn’t much of a singer; he was an intellectual and a primitivist. Is my opinion. I’m sorry he died so young. I’m going on. What else should I tell you? Okay. I’m a drunk now; I was a drunk then. Jim was a drunk, but I think that Jim believed in being a drunk. To stay in touch with his chaos or something, heighten his receptiveness to his art, his truth. His truth; I have never believed in being a drunk. No, really. “The Theatre and Its Double.” Antonin Artaud. Jim would have loved cell phones. Huh? Right? As a primitivist? He would have loved call waiting. Call-waiting I.D.! Right? My little portable phone? All of our junk that gets in the way of the kind of primal communication that he was about. He would have loved our yammer, yammer and our voice mail. Like I’m doing. Okay. Okay. Just a couple more things. I don’t blame him for that. Even if I had taken my pens out of my pocket. And my notebook. Unscrewed my head. I was getting money from home while I was trying to find work so that I could bring my family out. My wife would send me money, and so once a week when the money arrived I would buy wine for us all. One night in that garage apartment when we were drinking wine—the night after my check came—I heard, "What shall we call our group?" Okay, that word "shall" might not have been used. “Group” is also wrong probably. It could have been, "What are we going to call it?" Where "it" was a rock and roll band with Jim as lead singer. They were trying to find a name for their band. I was standing in the bedroom drinking my red wine and Ray was in the living room with the others. And Ray looked—I remember this—at the front door of the apartment and said—jug wine, several bottles— "How about The Doors?" Ray was just looking at the front door; I remember it. I didn’t hear anything about "The Doors of Perception" or Aldous Huxley; I think that all that came later, somewhere between Fraser Avenue and that mythos stuff. I’m right about that, Ray looking at the door to the apartment and saying, "The Doors." I also know that the name of the wine was Cribari, and that it was red and that I paid for it with my money from home. So in a sense I helped name The Doors. If the naming had taken place later in the evening, they might have called themselves The Screwtops. God, listen to me. I’m going on. What else? I stayed with Ray and Dorothy and Jim for four or five weeks until I got a job at Douglas Aircraft as a timekeeper. Added an official pocket protector for my pencils and ballpoints. Ray and Dorothy put me up and fed me for all those weeks. A couple years ago I paid them back six-hundred dollars that I had borrowed from them in 1967 or so, right after “Light My Fire” hit. Cathy and I took them to a restaurant in Brentwood. Jim was five years younger than me. He would be sixty-three today; I’m sorry that he didn’t stick around. I see us together. Old drunks, talking. I would have shown him my poem, “Animals in Their Wakeful Dreams.” Maybe he would have liked it. Maybe not. Here’s a poem that I wrote for Jim after he died. He died in 1971 and I wrote the poem in 1973. I’ll read it to you and then I’ll hang up. Sorry for the long message. Next time you should just let me talk. Tell that person on call waiting I.D. to call back. You know how I am. Here's a link to my poem, Animals in Their Wakeful Dreams. The images of Ray and Jim were lifted from The Doors website.